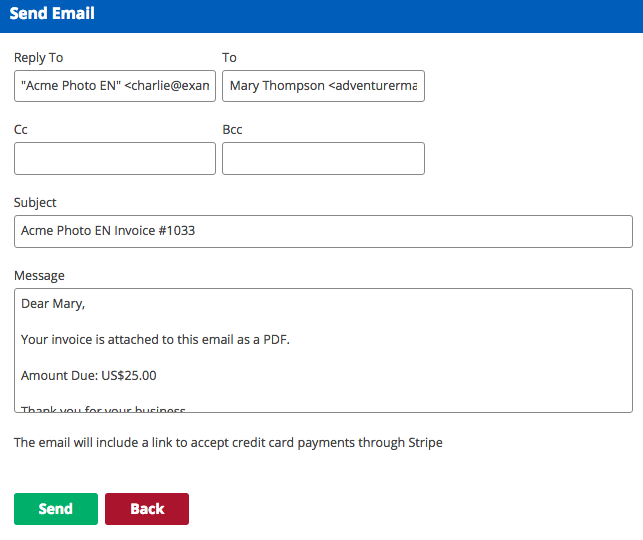 Learn how to create invoices, send them out, edit them, and enter payments. 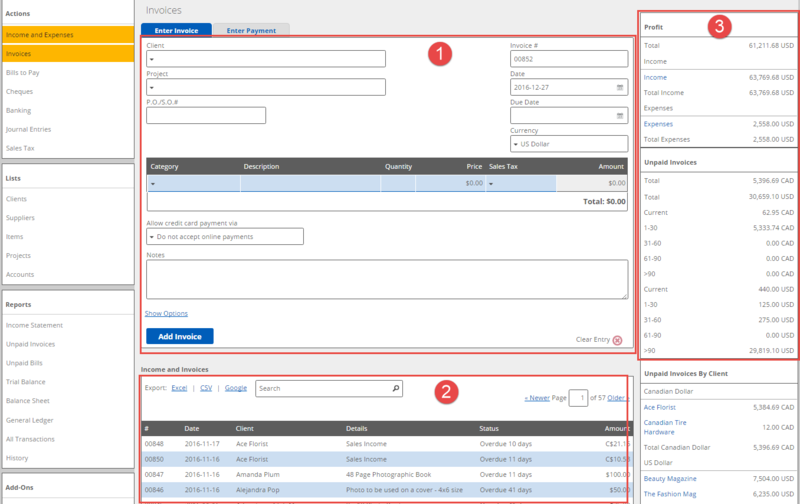 Invoice and Payments tabs (on the top): This is where you would enter client invoices and receive payments. Income and Invoices (on the bottom): This is list of all your invoices, showing the latest ones first. Quick Reports (on the right): This pulls together real-time data on your income. 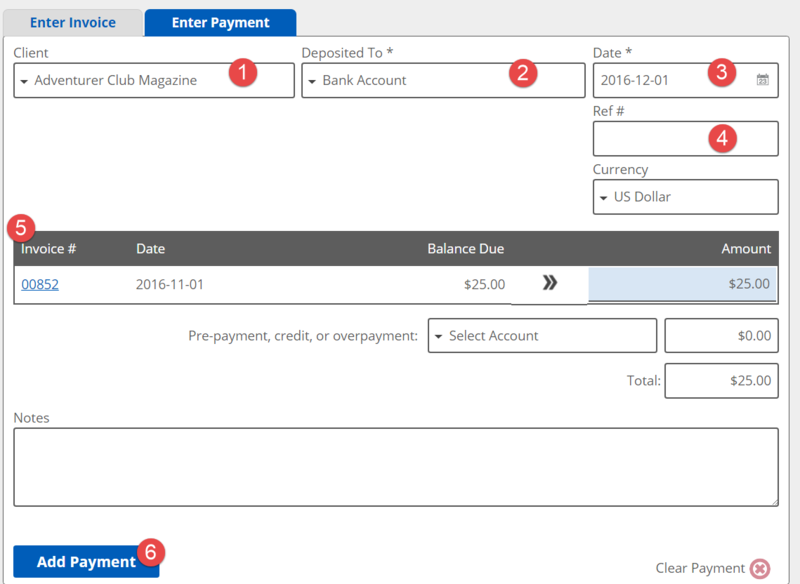 We are going to go through an example of creating an invoice for Adventurer Club Magazine on Nov 1st, 2016. 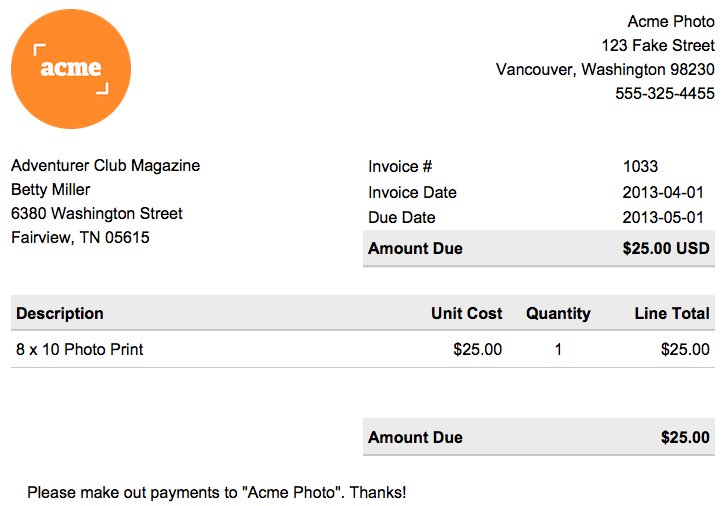 Adventurer Club Magazine is given 30 days to pay the invoice and it sold an 8×10 print. Allow credit card payment via: If you have set up credit card processing, you can choose whether or not to allow your customers to pay online. To set up credit card processing, please view our Setting Up Credit Card Processing article. To send this invoice to the customer, you can do it directly from Kashoo by clicking on the Email link. 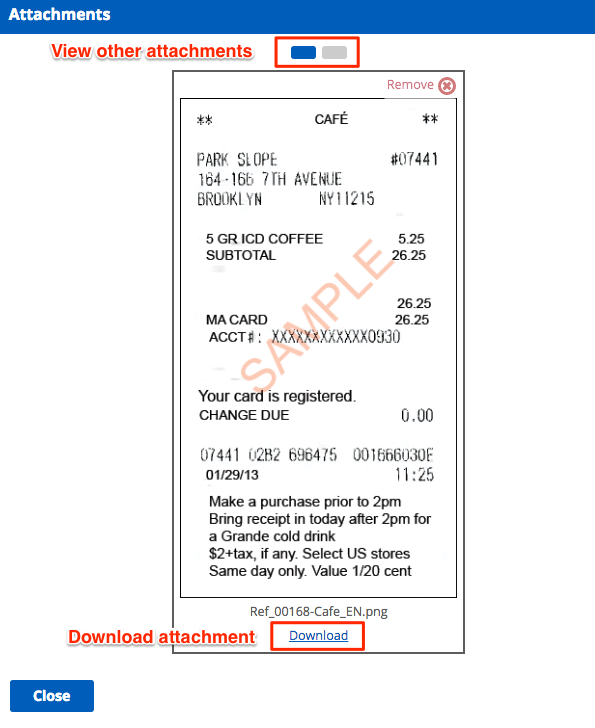 This will pull up an auto-generated email that will contain a PDF attachment of the invoice. You can edit the text of the email if you like. After you send an email, a note is added to the comments section so that there's a record of the send. To download the PDF of the invoice, click on the download pdf link. Here is what a sample invoice looks like. 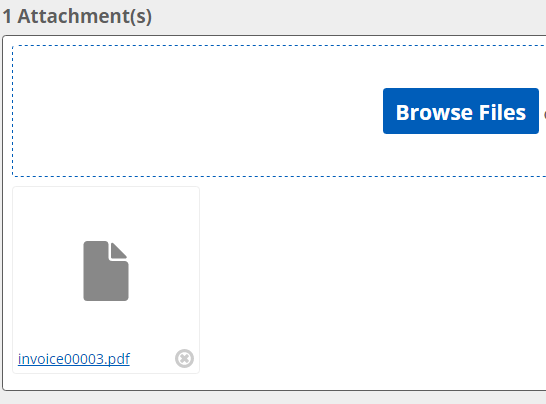 You can use the “duplicate” link to copy the previous invoice to the input area so that you can change one or two fields and add it without having to enter all the information again. This allows users to make minor changes with date, description, or price without re-entering all the information. Clicking on the “Edit” link will bring up the invoice’s details, allowing you to change anything you need to change for the existing invoice. 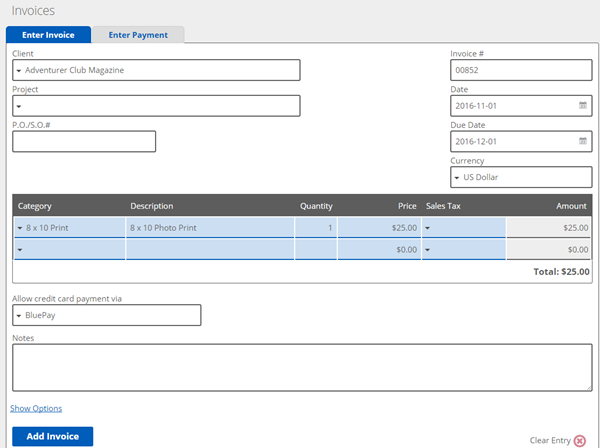 When a customer pays for an invoice, you can receive the payment by clicking on the Enter Payment tab. This example will receive a payment from Adventure Club Magazine on December 1, 2016 for the full amount of the invoice. The funds will be deposited into the bank account.